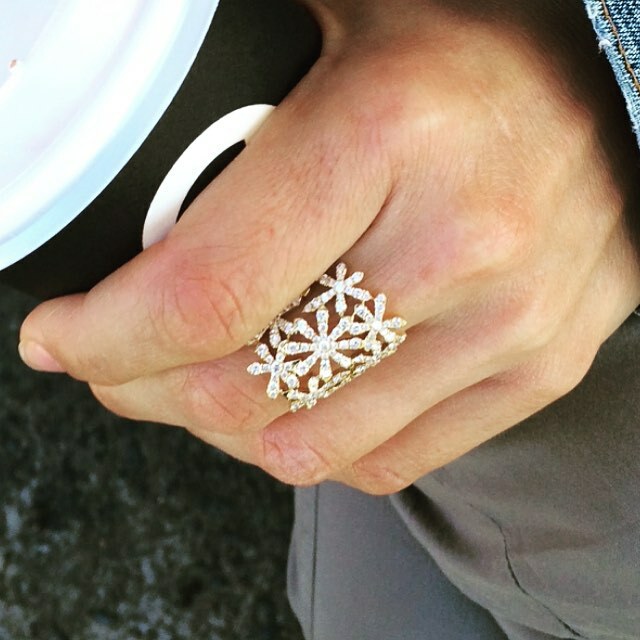 A cascade of Diamond Daisies sits snuggly along the finger. The interlacing flowers connect from one to the other in perfect harmony. 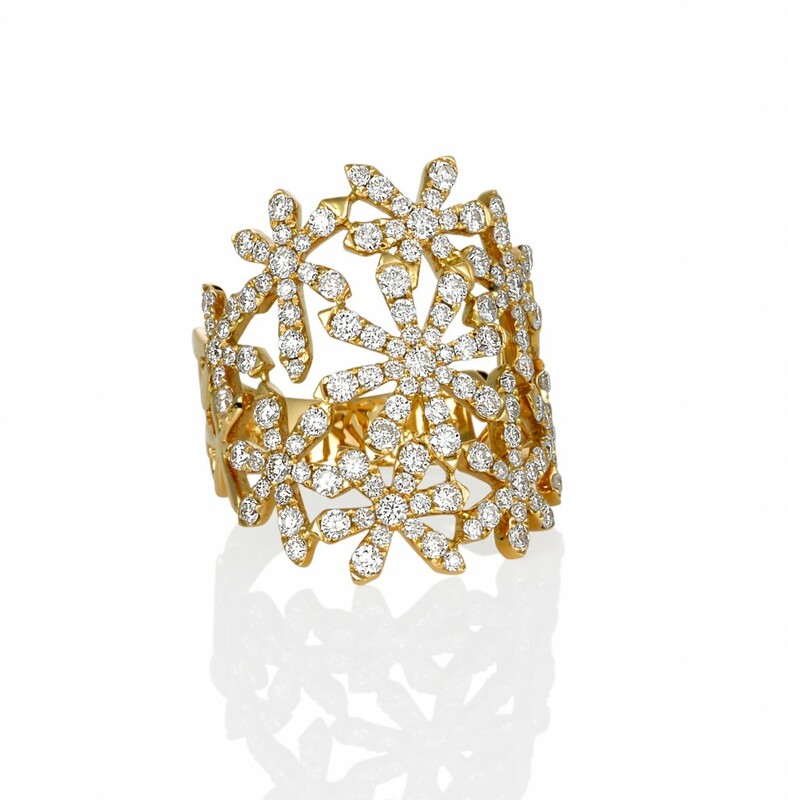 A most exquisite ring, like a breath of fresh air, reminiscent of the lacy designs of antiquity. This dress ring is a true testament to its unique design. 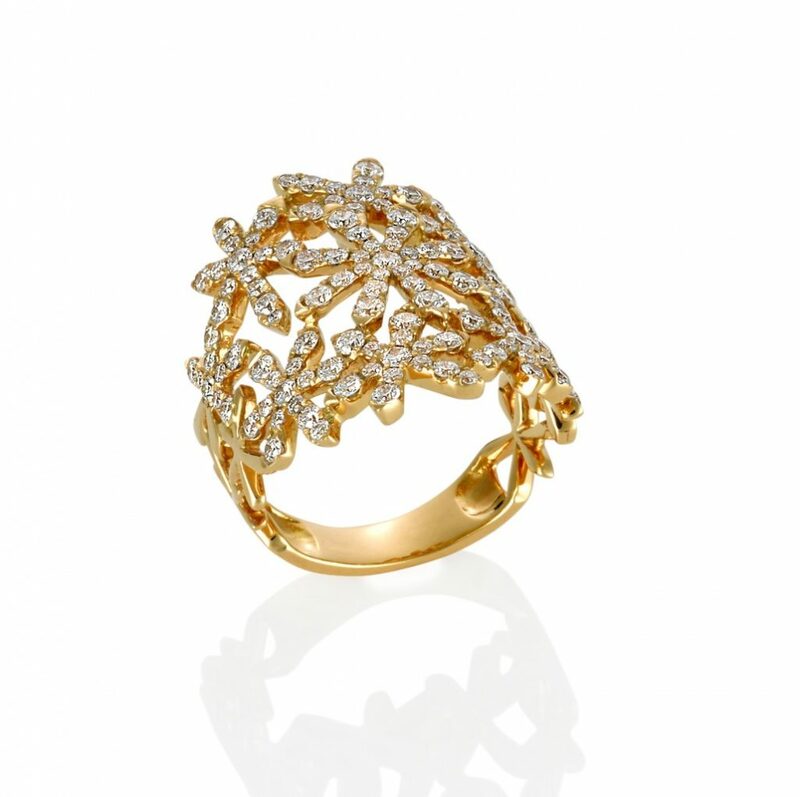 In excess of 1.6cts of Brilliant Cut diamonds set in Yellow Gold or Rose Gold to your personal preference.